Waterproof, windproof, breathable GORE-TEX coat with a clean urban aesthetic. 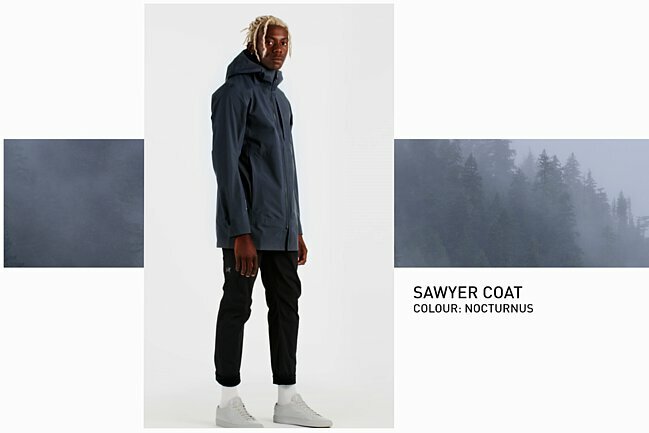 A GORE-TEX coat for urban environments, the Sawyer’s performance is born from the Arc’teryx alpine experience, then refined for the realities of the city. Waterproof, windproof and breathable, it delivers protection from summer showers and winter downpours. The GORE-TEX material is comfortable and quiet, articulated sleeves provide freedom of movement, and the full-coverage hood sheds rain and snow. The look reflects Arc’teryx aesthetic – a focused minimalism perfect for the urban dress code.